Last month The DJ Firm hosted it’s second annual “Let the Music Do the Talking” showcase and networking event. This is an exclusive night we host every year to network with individuals who are currently working in the wedding and event planning industry. This is our opportunity to showcase amazing vendors and musicians, along with The DJ Firm talent and all we have to offer as a company! This year our event took place at the beautiful Ivy Room Chicago located at 12 E. Ohio St. in the heart of downtown Chicago! We partnered with Chi Thee Wed and Modern Luxury Weddings Chicago and had an incredible photo booth experience by; Wave 3-D. Check out some highlights below by our photographer; Andreas Endregaard and if you missed out, there’s always next year! What's better than having a professional DJ providing the soundtrack for your wedding night? A professional DJ + a professional drummer playing alongside each other for one unforgettable performance. 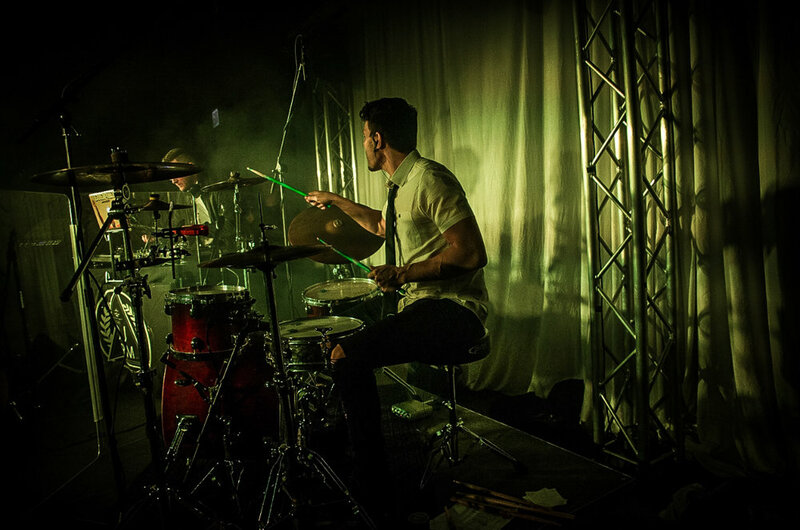 We'd like to introduce you to Rocky Roppo; a drummer The DJ Firm is proud to collaborate with. When you link Rocky with one of our DJ's you are bound to provide your guests with one memorable experience. Take your wedding night to the next level with TDF! Learn more about our Live Entertainment here.